Efficiency is a big word in procurement and supply chain management, and it means not just reducing energy expenditures but getting the most out of available resources as well. Sharing spaces, freeing up unused storage and other tactics may be a major priority already, but the current conversation is hinting at some improvements which may help steer developments. There's not just the amount of space within supply chains to consider, but also other ways that limitations may impact distribution. Supply Chain Dive mentioned the space needs of retailers as part of the growing modernization demands they face in general, with a strategic reason to unify actions for faster performance. The source specifically pointed out the desire for an integrated supply chain that fits in with the rest of a company's operations. Let's follow the thread of space management specifically and see how different strategic sourcing solutions might play into this goal. Many have talked about "gig economics" and the "Uberization" of different services. As a corollary to space concerns, simplified freight management may also offer efficiency benefits for complex supply chain setups. 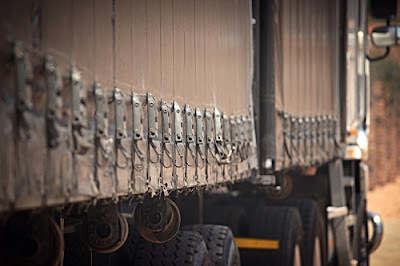 A Supply & Demand Chain Executive piece recently looked at Uber Freight, a service which intends to make it easier for truckers to accept and complete jobs, also allegedly reducing the amount of time it takes for these employees to receive their payment. The article didn't mention the space management aspect of this service, and it also suggested that more data is needed to see whether or not it will actually disrupt freight, since the goal is a large one. Still, the potential is still there for a more agile model to arise that benefits truckers and the companies they work for alike. "The potential is still there for a more agile model to arise." Existing alongside space concerns are the difficulties that can come with travel through highly populated areas. In its 2015 Urban Mobility Scorecard, INRIX, alongside the Texas A&M Transportation Institute, said that trucks accounted for 18 percent of congestion cost in 2014. Though it noted that the future results of urban congestion costs will depend on different regions, it did say that 2020 congestion could lead to an estimated cost of $192 billion in 2014 figures, as well as 3.8 billion gallons of wasted fuel and 8.3 billion hours of delay. Among the strategies mentioned as a response, the report stated that the ideal options could build naturally off of existing elements and perhaps include workforce changes that allow for different routes. It's a different type of space concern, but one that freight and supply chain managers will need to consider to continue meeting their goals successfully. One final way space concerns manifest themselves is through the physical availability of warehouses. JLL recently announced the results of its United States Industrial Outlook, where it examined the rent growth rates of industrial real estate over the past decade. While the year-to-date figures for 2017 only put the growth rate at 8.2 percent, lower than last year's late, there's still the chance for this to be higher by the year's end. Coordinating the supply chain efficiently can help businesses take all of the different kinds of space concerns into account for maximum cost effectiveness.